Mobile personal emergency response systems (mPERS) allow people (often seniors) to call for help from any location where a mobile phone network is available. However, there is no guarantee that people will wear the device and actually be able to call for help in case of an emergency. In this article we will therefore present recommendations for the design of more effective mPERS. Personal emergency response systems (PERS), i.e. the famous ‘panic/alarm buttons’, allow seniors who live independently at home or in care homes to call for help with a single button press. A typical example of an emergency is a fall, but the call centers report that a significant number of calls is made because of loneliness. PERS can also give caregivers more peace of mind when they need to leave the senior alone for a while. Traditional PERS consist of two devices. The first device is a box that is connected to the fixed telephone line. A red button on the box can be pressed to call for help. 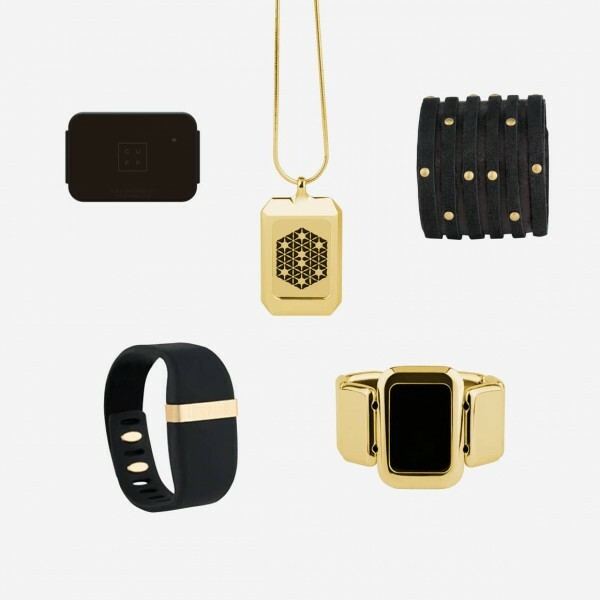 The second device is a wearable alarm button, attached to a wristband or necklace. This button should be worn at all times and works within a certain range of the fixed box, which mostly covers the entire house/apartment and a part of the garden. Whenever the button is pressed, a professional call center or a specific (informal) caregiver receives the call and can talk with the senior (through the fixed box) to hear what is wrong. Although there definitely is a market for the traditional PERS, they have several limitations. First, these systems can only be used in and around the house. The button may also work in the garden, but it won’t work when the senior goes shopping, visits family or goes on vacation. Second, many owners do not really wear the button (24% never wear it according to Heinbüchner et al. ), which is a major problem when they fall and are not able to reach it. Third, even when a senior wears the button, she may refrain from pressing it in case of an emergency (83% according to Heinbüchner et al.). Recently, several companies have entered the PERS market with mobile personal emergency response systems (mPERS, for examples see Table 1). mPERS address the first of the before mentioned limitations: these systems enable the senior to make an emergency call from anywhere where a mobile phone network is available. 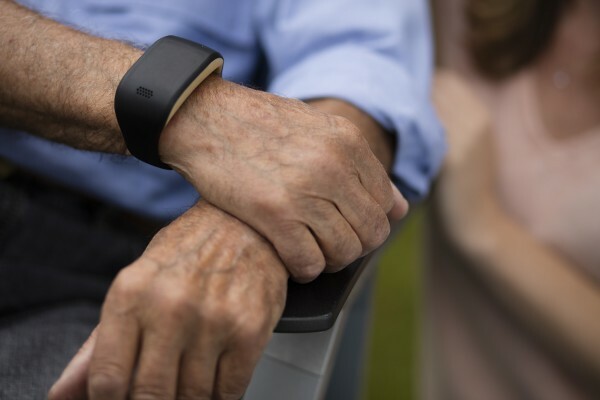 They either connect to the senior’s smartphone which then propagates the alarm, or they contain the electronics and a SIM-card to connect to a mobile phone network by themselves. Table 1: Examples of mPERS. This table is not exhaustive; we aim to show which kinds of systems are available. Make sure that the device requires infrequent charging, e.g. once per week, which can be carried out by a caregiver. The challenge here is that the caregiver needs to be reminded to charge the system when she is visiting the senior. Make sure that the senior is ‘trained’ to charge the device by herself. When the senior does not place the device on the charger within a certain timeframe, e.g. 21:30-22:30, she should be reminded to do so. This way, the senior can learn a new task relatively easily. In addition, the system may remind the senior to charge it when the battery has almost run out. A drawback of this design strategy is that the alarm button may still be on the charger when the senior goes to the bathroom at night. A solution could be to combine the alarm button with a pressure sensor in the senior’s bed. Only when the senior is in the bed, she may take off the alarm button. When she gets out of bed, without wearing it, the device will need to remind her to put it on. Independent of these design strategies, the charging system must be easy to use. Induction chargers are a possibility to avoid that people have to fumble around with tiny plugs, which can be particularly challenging for seniors. An easy to use cradle can be an even better option, because it can charge the device faster than via induction. 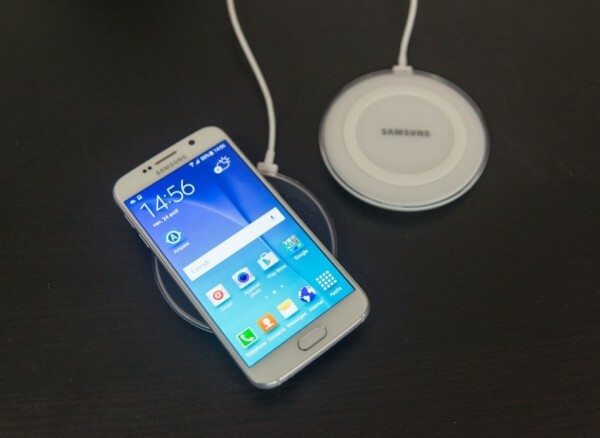 Mobile phones and watches can be charged wirelessly, by placing them on an induction charger. This technology could make charging mPERS much easier. 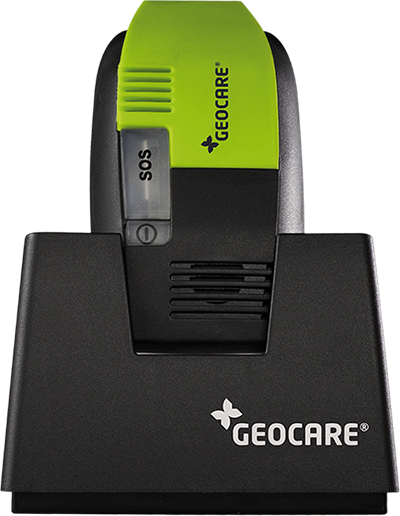 The GeoCare mPERS must be placed in a cradle to charge it. This is easy, reliable and faster than wireless charging. When a senior has fallen, she may not be able to reach the alarm button. Moreover, a product which is out of sight is also ‘out of mind’. Therefore, the likelihood that the mPERS will be used is much higher when it is worn or carried close to the body. So, how can we stimulate the senior to actually wear the device? It must be very small and lightweight. Some producers therefore provide two devices. One device holds the SIM-card and electronics to connect to the mobile phone network. Its size is about that of a box of cigarettes and should therefore be carried in the senior’s pocket or handbag. The other device is smaller and can actually be worn as a bracelet, necklace or keychain. It communicates wirelessly with the larger device. The wearable device must warn the senor when it is no longer within range of the larger device, e.g. when the handbag is in the living room and the senior is in the bathroom. When working with two devices, this also means that there are two devices that need to be charged. It must be completely waterproof, so that it can be used in the bathroom, where many falls happen. The senior needs to get a reminder when she forgets to wear the product at times when she should be wearing it, i.e. during the day. It must not stigmatize. The traditional devices often have a large red button, demonstrating ‘their frailty’ to others, because of which seniors do not like wearing them. The device should have a purpose at all times, i.e. also when there is no emergency. That purpose can e.g. 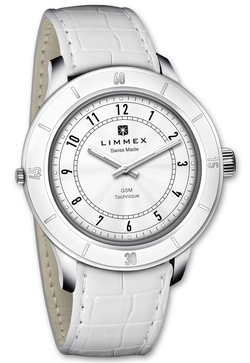 be to tell the time (a watch) or to be a beautiful thing (jewelry). This way, the senior is more likely to see the benefit of wearing it 24 hours per day, 7 days per week. The company Cuff designs mPERS ‘jewelry’ which is not only functional, but also a pleasure to wear. Therefore, the likelihood is higher that the senior will have the alarm button within reach in case of an emergency. 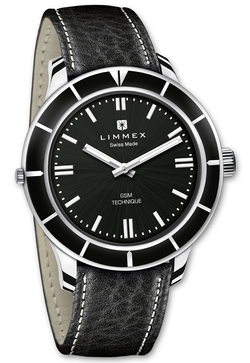 The Limmex mPERS. It does not stigmatize, it is aesthetically in order and it can be used as a normal watch, which gives it a purpose outside of the emergency situation. Enable the mPERS to detect problems, such as falls, by itself. When a fall is detected, the senior will get some time to disable the alarm. Otherwise the alarm will be propagated to a caregiver. This approach may not work for all other types of emergencies. Therefore, there is also a growing market for telemonitoring systems which are based on various sensors, such as motion sensors, door sensors, gas sensors, etc. You can read more about these systems in our article on telemonitoring. Extend the mPERS with a ‘good morning’ function. Every day before a certain time, the senior needs to press the button to communicate that all is well. The mPERS can train the senior to use the alarm, e.g. with practice alarms. It could e.g. ask the senior to set up a call once a month. 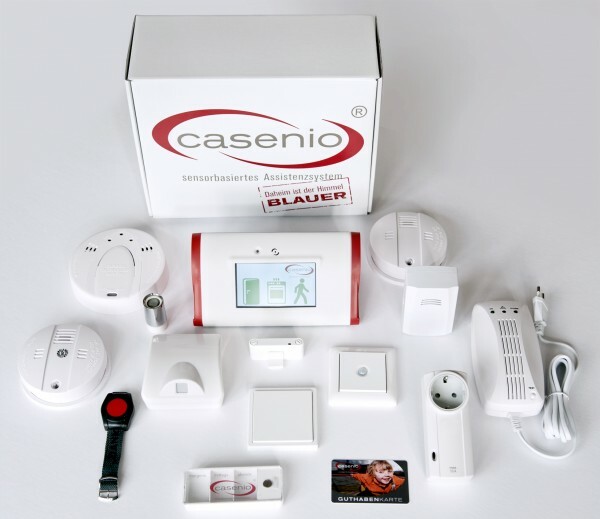 Telemonitoring systems, such as Casenio, can be a great extension to mPERS, because they can detect emergencies without the senior’s active involvement. Visual: The alarm button must be easy to see and recognize. Motor: It must be easy to press the alarm button and it should provide (haptic) feedback so that the senior knows she has pressed effectively. Cognitive: It must be easy to remember how to trigger the alarm. E.g. when multiple buttons need to be pressed in a particular order or when a button needs to be pressed for a certain duration (such as with Zembro), it may be too difficult for the senior to remember this exact procedure. The Zembro mPERS is a bracelet. The flat surface functions as a screen and an invisible button at the same time. When the senior presses the button and holds down for four seconds, an alarm will be triggered. The bracelet provides visual feedback, so that the senior knows how much longer he needs to press. When the senior presses the button only shortly, it lights up and tells the time. This way, the senior is already ‘trained’ to use the button. The disadvantage of the Zembro approach is, that the most important function is hidden and relatively difficult to activate. Compared to traditional PERS it requires stronger cognitive abilities to operate it effectively. 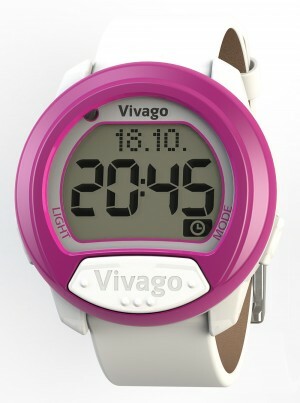 The Vivago mPERS alarm button is easy to see (on the front, good contrast) and easy to press (large, with haptic feedback), without being a stigmatizing device. The mPERS needs to be small, lightweight, non-stigmatizing, beautiful and be useful in non-emergency situations, e.g. as a watch. The mPERS needs to make sure that the senior is trained in using it, e.g. by triggering practice alarms or through a good morning function. The mPERS should be able to reliably detect falls by itself, while allowing the senior to disable a false alarm before it is propagated. The mPERS must be easy to use, similar to the wristbands/necklaces of traditional non-mobile PERS. The mPERS either needs to remind the caregiver (remotely) to charge the device, or it needs to train the senior to charge it regularly. When a device is technically flawless, this does not necessarily mean that it is used effectively in practice. Research, e.g. by Heinbüchner et al., shows that PERS often remain unworn and unused. The designers and developers of (mobile) PERS should therefore do user research to investigate how their systems can be made more effective. Apart from interviewing seniors and caregivers, this could e.g. be done by observing seniors during practice alarms. If you need support with the planning, execution, or analysis of such research, please feel free to contact us. Heinbüchner, B., Hautzinger, M., Becker, C., Pfeiffer K. (2010). Satisfaction and Use of Personal Emergency Response Systems. Zeitschrift für Gerontologie und Geriatrie. 43(4):219-223.